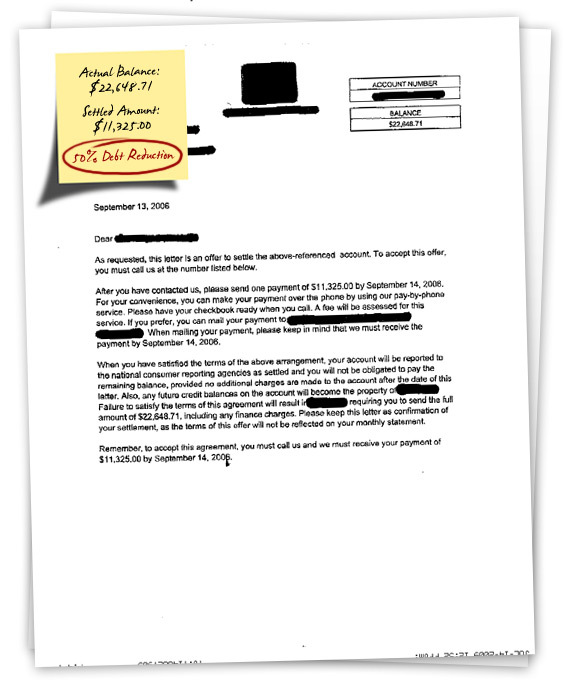 Check out a sample debt settlement letter by clicking the thumbnail image on the right. 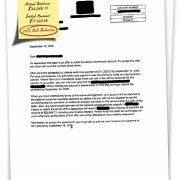 This is just an example of what a real life settlement letter looks like. Clients who successfully complete our Debt Resolution Program can expect to get similar ones. Take a look at some of the top settlements we’ve listed below. These top settlements showcase how much some of our clients have saved with Debtmerica Relief! * Settlement examples are a result of creditor negotiations made by Freedom Financial Network or affiliated companies. Examples include top settlements achieved by our service providers and are not indicative of typical results.